It seems that Alexander Pope presaged what we now find in a world immersed in technology, where the educated and uneducated, the thinkers and the non-thinkers, the gullible and the prudent, the knowledgeable and the ignorant now equally have access to the same Big Data knowledgebase that lies just a few keystrokes away. It is in the glut of this unfettered – and it seems, for most of humanity, unfiltered – access where quintessential leaders differ from everybody else. Before we talk about what makes quintessential leaders rare and the unique in this area of modern life, we first have to understand the big picture of technology. We also need to be aware of how, in many ways, if we are not constantly critically thinking, objectively analyzing, and consciously rejecting the insistent siren song that beguilingly calls us to rely on technology for everything neurological instead of building and growing our minds by actually using them, we become unquintessential leaders. A brief overview of how technology will , if we allow it to rule us and we bring nothing to the table in terms of control, reason, logic, and thinking, make us unquintessential leaders is paramount to understanding the inherent dangers it presents to us as leaders. 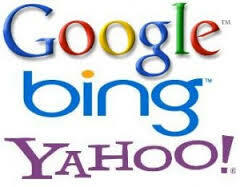 All the search engines – Google, Yahoo!, and Bing are the big three (today at least) – are data-driven. From an internet perspective, websites – and their information – get “ranked” by keywords and hits (how many people visit, how often, etc.). Therefore, page one of our search results is determined simply by data, not by quality of information nor by expertise. That is why most websites encourage you to share and share often their websites on social media. The more hits they get, the higher they go in the “organic” (non-paid) rankings. The other way that websites get first-page ranking is that they pay a lot of money for keywords (there is usually someone working fulltime in the background at nothing but this who does the monitoring and upping the ante, pricewise, for specific keywords to stay at the top of page one). This is known as pay-per-click (PPC) advertising. It is a budget hog for the organizations using it, but it gets results, so most organizations are willing to spend thousands of dollars a month to be in everyone’s faces when they do a search on one of their keywords. The other side of the search engine equation is us – you and me. Analyses are continually run on our data – what we search for, what we click on, where we go on a regular basis in cyberspace (you and I may delete the browser caches on our devices, but the search engines never delete them) – and programmed algorithms pick up our searching habits and preferences and sheer down the available choices to what most likely fits what our aggregate data profiles tell them we want to see. In other words, the internet is no longer a vast landscape of available information that we could cull through and get a broad perspective on about a topic. It is a miniworld of information that mirrors our past and, therefore, preferred choices. Our worlds, then, get smaller and smaller and smaller. Having that broad overview of technology – their part and our part in mind – we now have to look at the relationship between who we are as humans and how the internet caters to that. We humans have a lot more in common than we would like to believe. In fact, much of the hate, the condemnation, and the vitriol in our world comes from our rejection of our commonalities and our all-consuming pride in how we think we are so special and and so much better than everyone else. Here’s a reality check for each of us. We’re not special and we’re not better than anyone else. We all have the same limitations in the parts of us that matter and that determine how we see others and ourselves and how we treat others as we make our way through our lives. Three of the things that all of us humans have in common – and which limit us to one degree or another – are biases, bigotry, and ignorance. The internet can feed these three things to excess if we are not aware of them and we are not consciously working to replace them with impartiality, fairness, and the kind of deep learning that Pope was referring to in his essay. For the uneducated, the deeply and willingly ignorant, and the non-thinkers, the internet is a treasure trove of disinformation. Any bias, any bigoted thinking, and any ignorance can be found on the internet and it can be used to perpetuate bias, bigotry, and ignorance. And it is. This quintessential leader shakes my head probably more than I do just about anything else at this point in my life at most of the stuff I hear, the stuff I see, and the stuff I read (I don’t read a lot of it because it’s so asinine, especially when I see the source, that I’m simply not going to waste my precious brain cells and time on a bunch of garbage that I know is not accurate and not true). So what do quintessential leaders – those few of us who it seems have not completely lost our minds nor our ability to critically think, to analyze, and to prove or disprove objectively all information – do to ensure that everything we think, we say, and we do is both accurate and true? This last point bears a little further explanation. Much of what is said and written on the internet is simply to generate content (again, this a requirement of Big Data and organic search engine ranking) and has little to no substantive value. In other words, voluminous content is just another way to manipulate a website to page one. The quality and the expertise of the content is irrelevant and the abundance of junk content on the internet proves that point. The problem is when we the people fall hook, line, and sinker for the junk content. Often this kind of content has either something salacious or outrageous as its main point. We humans tend to gravitate to both and we love to share it with the rest of humanity. 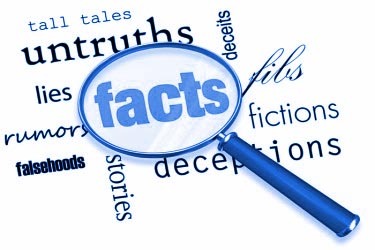 It seems that the more preposterous, the more erroneous, the more sensational, and the more inaccurate information is, the more it gets consumed by the human race. Veracity and accuracy, on the other hand, which are proven, well thought out, and fully explained don’t really titillate our biases, our bigotry, and our ignorance, and besides that, in our “I-just-skim-stuff-because-I-am-way-too-busy-to-actually-read-and-understand-anything” world, it demands too much time, effort, and self-reflection (we can’t stand the horror of possibly being wrong or needing to change ourselves) to come face-to-face with truth and accuracy. For those of us who are striving to become quintessential leaders, we must look into our own lives to see which side of this equation we fall on. Do we always ensure accuracy and veracity in every part of our lives, including the words we speak, write, and share with others? Do we let our biases, our bigotry, and our ignorance rule the words we speak, write, and share with others, and in the process we propagate disinformation, misinformation, and lies? 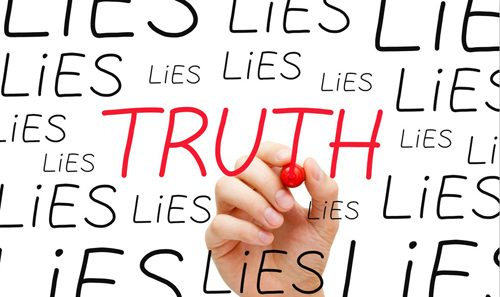 Or do we – and this is a real trust-buster – sometimes ensure veracity and accuracy in what we do, including the words we speak, write, and share with others, and other times give in to our biases, our bigotry, and our ignorance and that is reflected in every part of our lives, including the words we speak, write, and share with others?